I think this skirt successfully spans the divide between formal and casual. 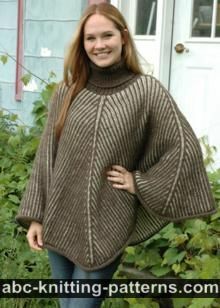 You can wear it around the house, out to town or even around your country estate if you happen to have one :) Brioche and 2-color garter stitch that I used make a pretty thick knit, so I would recommend for the Spring and Fall. 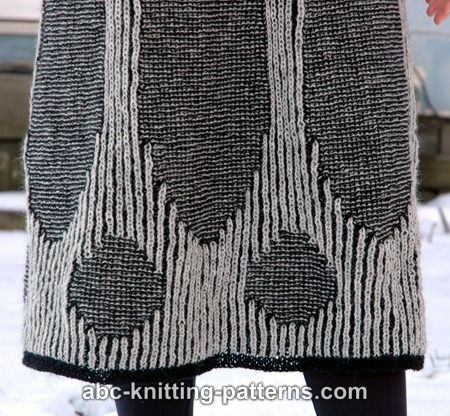 The skirt is knitted in-the-round, seamlessly, and is a combination of 2-color brioche and 2-color garter stitch. 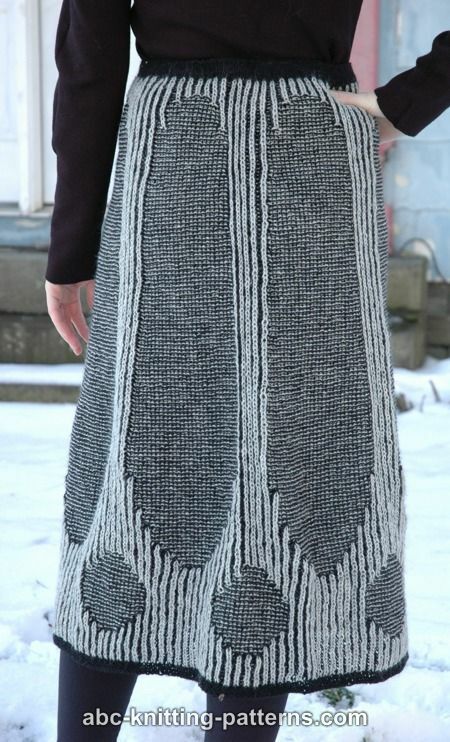 In terms of construction the skirt consists of several similar panels (gores), which are repeats of the brioche and garter st patterns. The number of gores is different for each size, but the width of the gore is the same for every size. The length is easy to adjust. I actually knitted this skirt a few months ago, but between one thing and another I only got it written up recently. Hope you like it! Needles: US 2 (2.75 mm) circular needles 21” (52 cm) and 32” (80 cm). M1 (Make 1 increase) - I used the increase described by Elizabeth Zimmerman: Make a backward loop over the right-hand needle and in the next row knit (purl) it as a regular stitch. sl1yof – slip 1, yarn over, yarn to front: with working yarn in front, slip the next stitch purlwise, then bring the yarn over the needle and the slipped stitch, then bring yarn back to the front, ready to purl the following stitch. yfsl1yo - yarn forward, slip 1, yarn over: bring the working yarn under the needle to front of work, slip the next stitch purlwise, then bring the yarn over the needle and the slipped stitch. Leave yarn in back, ready to knit the next stitch. 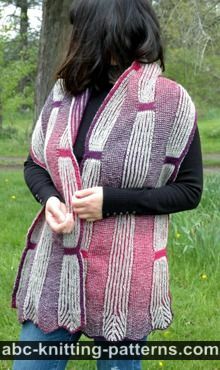 Please note that since the garter stripes are worked alongside the brioche stripes, each round is worked in both LC and DC, similar to the brioche. Please note that one brioche round consists of 2 rounds, one worked in DC and the other in LC. Set up row (LC): *k1, yfsl1yo, repeat from * to the end of the round. 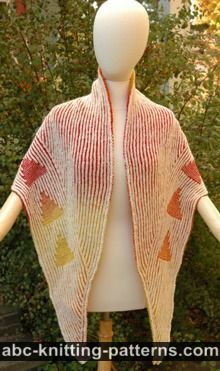 Bring the LC yarn forward and leave it hanging in front of the work. Round 1 (DC): yf, *sl1yof, brp1, repeat from * to the end of the round. Bring the DC yarn back. Round 1 (LC): yb, *brk1, yfsl1yo, repeat from * to the end of the round. 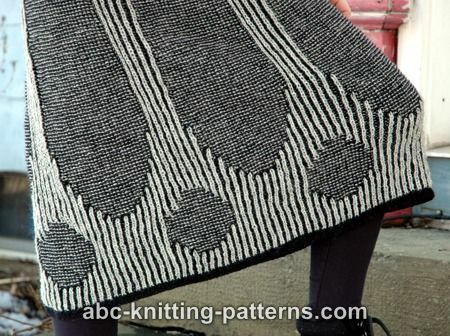 Bring the LC yarn forward and leave it hanging in front of the work. 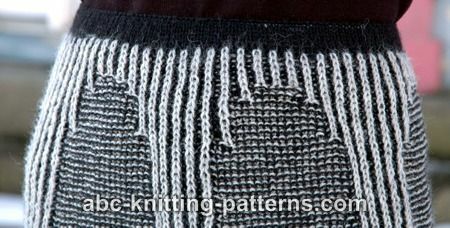 The skirt is worked in-the-round, top-down, seamlessly in combination of 2-color brioche stitch and 2-color garter stitch. Using 2 strands of yarn (LC and DC), cast on 144 (168, 192, 216) sts. Work 6 rounds (6 LC rounds and 6 DC rounds) in brioche st. Note, that 1st LC round is a set-up round. Work 2 sts, pm, (work 24 sts, pm) 5 (6, 7, 8) times, work the last 22 sts. Starting from round 7 (LC) begin to work according to chart 1 (top of the skirt). Work 9 sts after the 1st marker in brioche (the last st is brk), work next 7 sts in garter st (purl in LC), work brioche to the next marker. 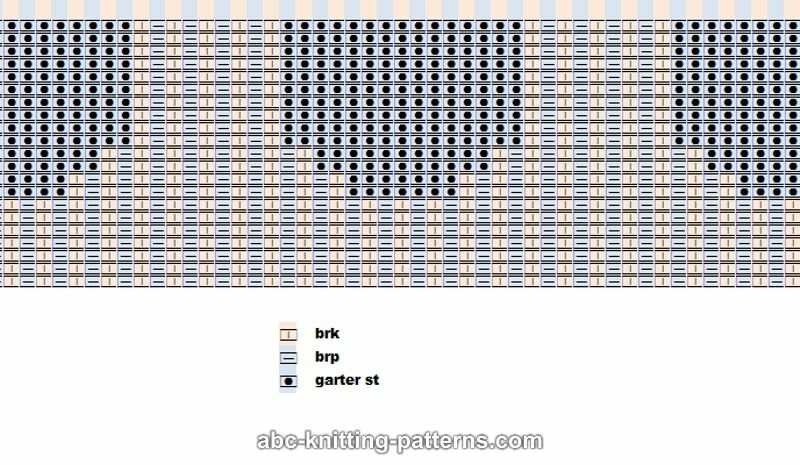 Work 7 rounds (both in LC and DC) until there are 5 brk between each garter st panel (3 brk belongs to 1 panel and 2 brk to adjusted panel). 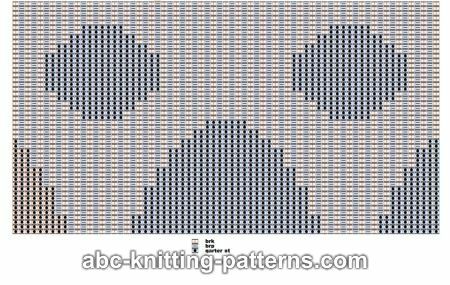 Starting from round 15, work brioche and garter st as established and begin to make increases in each garter st panel. Increase by 2 sts in the DC round by working M1 between 1st and 2nd sts and between the last st and st before last. Total increases per round: 12 (14, 16, 18). Make increases in every 12th round. Total 8 times. Total 96 rounds. If you would like to change the skirt length, do it at this point. To lengthen the skirt, simply work more rounds, keeping in mind, that there will be 9” (22 cm) more of the skirt. 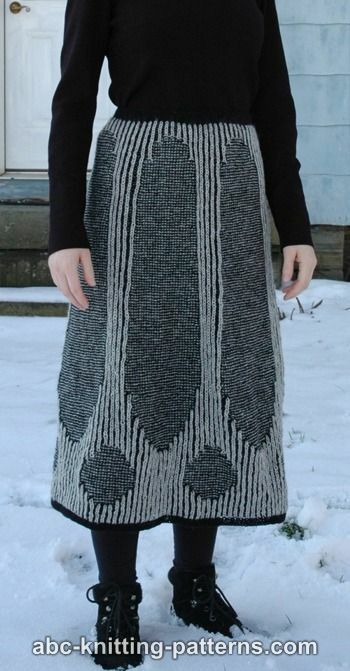 To make it shorter, you need to make increases every 10th or even every 8th round, depending how much shorter you are going to make the skirt. Starting from next round work according to chart 2 (bottom of the skirt). Work 44 rounds. Work 9 more rounds of 2-color brioche. Work 8 rounds of 1-color garter st in DC. With DC pu&k 144 (168, 192, 216) sts. Knit 8 rounds. Bind off. Turn the belt inside along the purl round and sew on with the invisible seam to the back of the top of the skirt, leaving 1.5” (4 cm) unstitched. Thread elastic into the belt and sew on the ends. Thank you for the hard work and imagination you put into both the design and writing up the pattern. At the present time this is beyond my skills, but I do have the ambition and desire to gain the skills necessary to make this skirt for me.